SOLAR MAKES OUR LIVES MORE CONVENIENT ! Sungold is the world's leading supplier of solar panels. for more than a decade, we have been focusing on manufacturing solar panles production and committed to providing the best solar panel solutions, customed rigid solar panels, flexible solar panels, and portable solar panels, Widely used in RV, marine boats, off grid solar system fields and so on. We are Rigid off grid solar panels, Semi-flexible solar panels, and Portable solar panels’s manufacturer. We can provide high quality products and reliable warranty service. we are experienced in helping various wholesalers retailers and brands owners with design and packing advice. 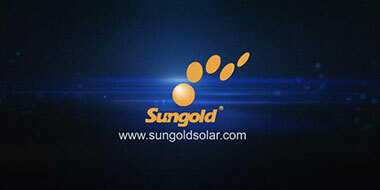 Sungold was founded in 2008, focus on producing photovoltaic solar panels for ten years. our company is a high-tech enterprise with CE, RoHS, ISO9001, ISO14001 certification; Our products are exported to Europe, America, Japan, Oceania and other more 90 countries..
We can provide professional 12V and 24V pv solar modules customization services., accept OEM and ODM as well as packaging design, make different solar panel sizes, voltage, packaging, connection boxes and all other solar accessories. The solar cells max efficiency up to 20.4%, The short distance between the multi-gate lines,Can greatly increase the current during the transmission process; The risk of partial short circuit is reduced to zero and it is safer. Better replacement of rigid solar panels for some applications, We designed the LE solar panel series. The main features are light weight and easy installation. Custom this Solar Panels also available. Welcome to consult..
High resistance to salt water environment make it perfect for boats and yachts. Shapes with custom options available; Use only Sun Power cells for semi flexible solar panel. Affordable price solar power panels with high quality, Waterproof design for all weather conditions. An off-grid inverter can convert the DC energy from solar panels and batteries.